"This sculpture is made of elementary forms that have been cut in simple plate-like sheets of metal. 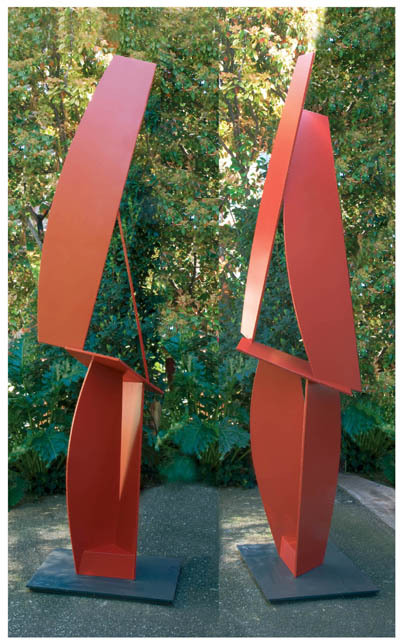 They are erected, assembled and welded, sticking to the dimensions of the viewer. It is almost like a hand to hand. It rotates slowly, in a certain movement that invites you to dance with it. Whoever looks at it feels almost like a partner in a dance."